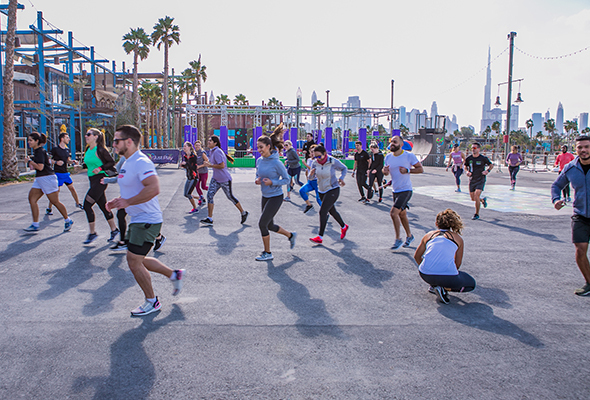 Dubai is a great place to keep fit, with new classes, studios and race events popping up all the time, it can be hard to keep up. We’re stripping things back to the simple, yet effective outdoor workouts. 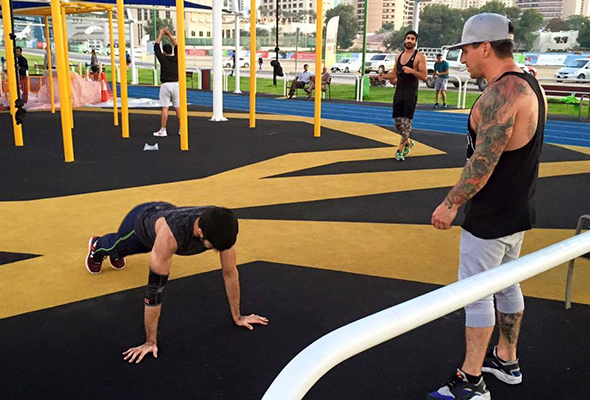 Give one of these 6 outdoor gyms in Dubai a try. Dubai’s Laguna Waterpark at La Mer, which opened last May, has re-opened with the addition of an outdoor gym. 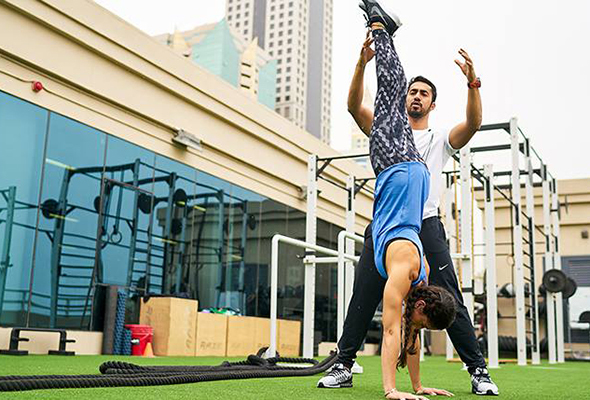 The open-air studio, named Fit Hub, is a fully serviced outdoor training facility, featuring a variety of instructor-led workouts, including: boot camp, yoga, boxing, dance classes and more. Not only that, the class price includes free access on weekdays and all week long, guests will also be entitled to invite up to three friends and family to Laguna Waterpark at a 40 per cent discount. With the perfect view of the Marina skyline and the sea right next to you, what more could you want from an outdoor gym? Well there’s also callisthenics and CrossFit equipment, sprint tracks, climbing area and specialist flooring. Just bring your own towel and water and you’re ready to get fit! 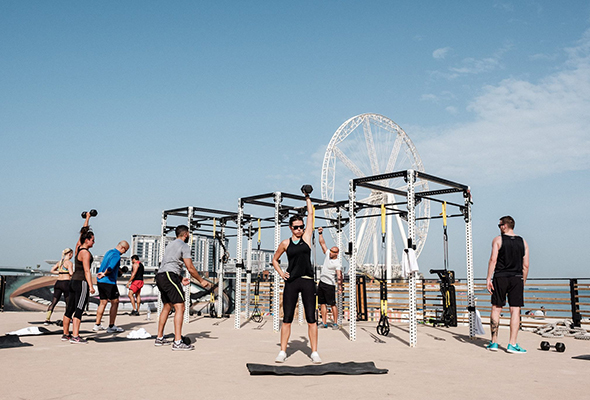 Complete with weight lifting equipment, CrossFit apparatus, rope climbs, kettle bells, rowing machines and jump boxes, the outdoor facility located at The Beach opposite JBR has all the ‘fitspiration’ you’ll need. There is also staff on site to assist gym-goers with their workouts. Aside from private training options, fitness fans can opt to join one of the group classes, which include commando circuit classes, spinning and CrossFit. 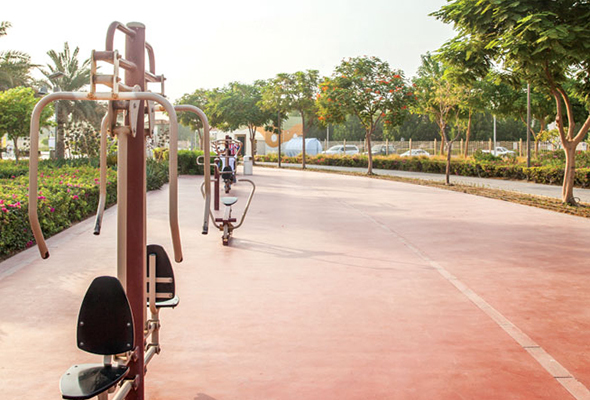 A great freebie for Al Barsha residents, this park is kitted out with all the basic gym equipment you need. Elliptical machines, pull up bars, and a callisthenics area combine to a fitness area that rivals that of some paid gyms. Not to mention, the park also has a basketball court, running track and tennis courts. Talise Fitness is so much more than a hotel gym, with a wide variety of facilities and equipment including ropes, climbing area, boxing, free weights and sprint track. There’s also a variety of classes on offer, whether you’re in the mood for yoga, tennis, watersports or even squash. Tucked away in the recently opened Zabeel House in The Greens, Native Club has indoor and outdoor facilities as well as a spa and pool. The outdoor gym has a multipurpose training apparatus and is available for members and hotel guests. If you want to train outdoors but hate having to wait your turn for the equipment, Fit Inc has the answer. With a big selection of weights, bars, ropes, jump boxes and medicine balls, you won’t be fighting for the last 10kg dumbbell in the rack.